DeShayes Dream Courts specializes in consulting, designing, and constructing professionally installed full and half-court driveway basketball courts in NJ, PA, and DE. 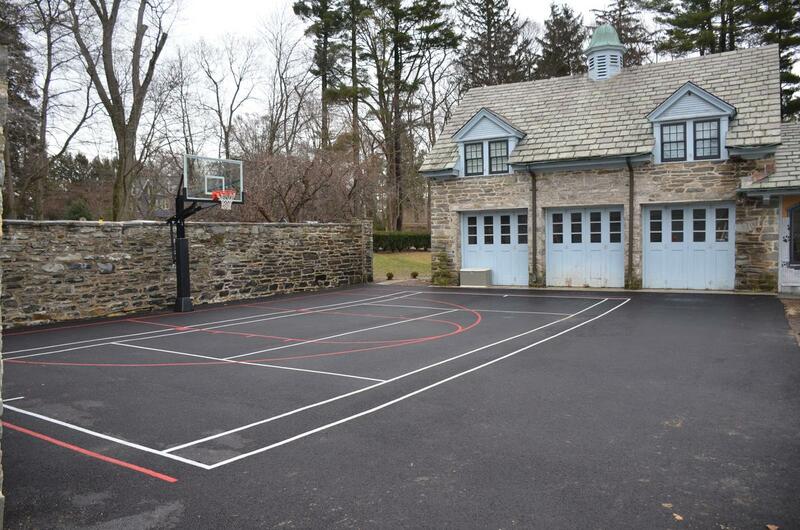 There are many benefits to having a DeShayes Dream Court installed in your driveway. First of which is that the cost is significantly lower than having a basketball court installed in your backyard. 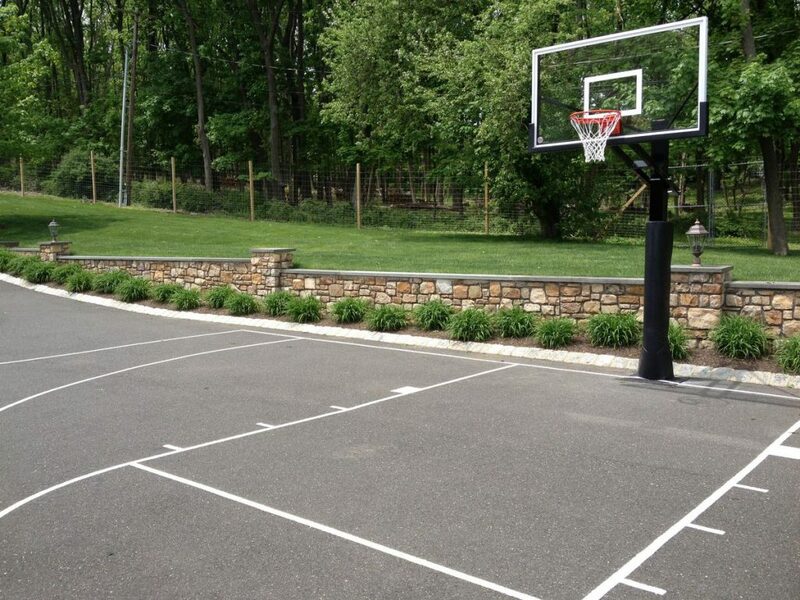 Because you will be utilizing a paved area that is already existing, one of the most expensive parts of backyard basketball court construction is taken care of. This also means you will not be encroaching on the open space in your yard, which will preserve the space you already have. DeShayes will even work with you on a driveway expansion if that is necessary! With line painting and the use of a professional grade basketball unit, your DeShayes Dream Court in your driveway will have almost the same conditions as a gym, far from the fan shape backboard on a goose neck pole from the days of old. Retractable netting is also available to go across the driveway, keeping balls and kids in, and cars out. Give your kids the home court advantage & call to have your professional DeShayes Dream Court installed in your driveway today! There are three main items to consider when it comes to having a driveway basketball court installed at your home. Most driveways are sloped at a minimum of 1% or greater to promote proper drainage. This is important because in a gym the rim is always 10’ high no matter where you stand on a court, but because a driveway court has a slope, when you are standing at the foul line, the rim won’t be 10’ higher. With a 1% there is a 1.8” difference in the height of the rim when standing under the basking and standing at the foul line. If there was a 4% slope, then there would be a 7.2” difference, which will lead to an inaccurately practiced foul shot. DeShayes Dream Courts has two solutions for this common issue. One is to locate the basketball unit on the flattest part of the driveway this will help to minimize the slope but still has some limitations. 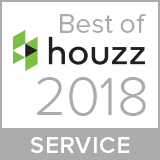 The best option, assuming that you don’t have relatively flat areas in your driveway, is to replace the asphalt in the part of your driveway where you would like a court and minimize the slope to 1%. There should be at least a 2 or 3 car garage driveway to build the court on. The distance required coming off the basketball unit’s pole is 25’ to the top of the key/high school 3-point line. Assuming your basketball unit has the official out of bounds distance of 4’ from the backboard to the pole + 15’ to the foul line + 6’ to the top of the key/high school 3-point line, it is good to have 3’ beyond the 3-point line for shooting high school 3-pointers. 28’ from the pole to the edge of the court is a minimum. 28’ would also be a comfortable minimum for the width as the lane is 12’ wide which would leave you 8’ on either side of the lane for the ball to bounce a few times on a missed shot before you go out of bounds. The wider the better and the more of the 3-point arch you will have on your court. The 3-point line at the base line is just under 40’wide. The location of the sun is very important when installing a basketball court and often overlooked. This is an easy one, though. Just go onto your driveway at 4pm or 5pm and imagine the location of your basketball unit. Line up for a foul shot and if the sun is in your eyes & located behind the imaginary location of your basketball unit then this location is west and is not a good spot for your basketball unit. Opposite of west is east, and the sun will only be behind the basketball unit at the crack of dawn when most people aren’t playing basketball. To the right of west is north which would also be an ideal location. Another way to figure this out is to look at the north arrow on your property survey or look at your home on google earth and check the north arrow on the map. 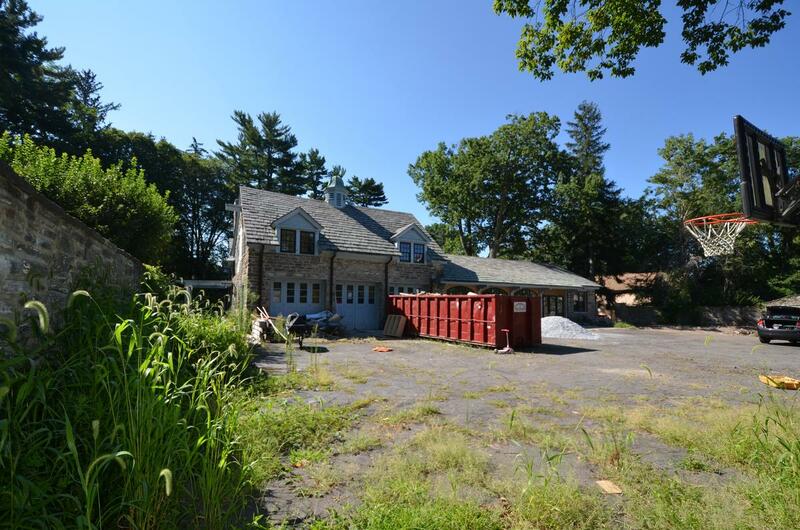 This 8 car garage built in 1910 in the before photo left a giant open space on the client’s lot in Haverford, PA. They converted the garage into a 3 car garage and the remaining space from the other five garage sections into a family room and kitchen as part of their home. DeShayes Dream Courts came in and removed the existing tar and chip driveway and unsuitable base. Then they installed geotextile fabric, a 6-8″ compacted aggregate base, and 3 inches of asphalt. Finally, the professional basketball unit, net post, and net adjustment system were installed and the lines for basketball, short court tennis, and volleyball were painted to create a multi-dimensional recreation area for the homeowners and their four children. Driveway Basketball Courts are the most functional and cost effective way to have a basketball court installed at your home!